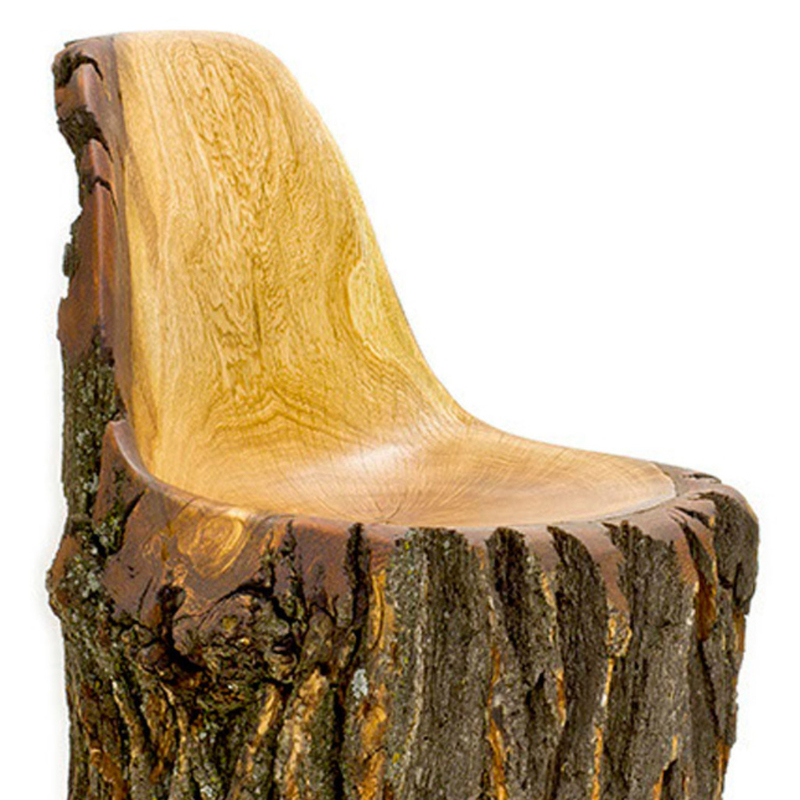 Tasked by Wisconsin furniture manufacturer Wooda with creating a chair, industrial designer Tucker Viemeister recreated Charles and Ray Eames 1950s Molded Fiberglass Side Chair in a log. This combination of a traditional raw material with new technology and CNC-machining challenges the notion that a design must be unique. “All designers feel challenged to create a great chair—but why? There are so many good ones already. What can the designer offer? What is new?” asked Viemeister in a statement. 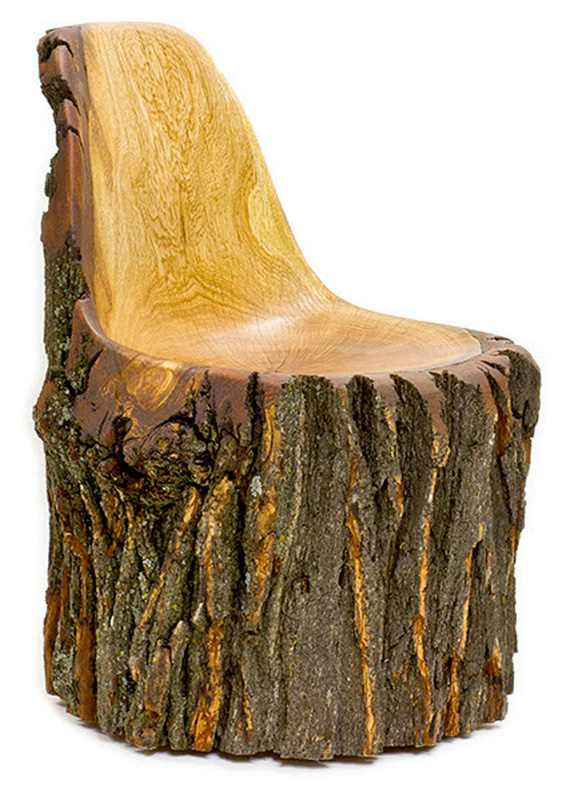 When Viemeister responded to Wooda’s request for a new chair design with a photoshopped photo of a log with an Eames chair carved into it, founder Terry Sweeney was intrigued. He collected three eight-foot oak logs from a nearby forest and input the surface mesh metrics into a CNC-milling machine. The machines ground the end of the logs to a 21-inch-diameter, 17-inch-high seat using a process similar to a pencil sharpener. The rest of the log was left natural to further jar the eye as it tries to reconcile the iconic design in a wholly new medium. “The form is so engraved in our cultural memory that the slightest violation of line or curve stands out like fingernails on a chalkboard,” said Viemeister, whose clients include Corning glass, the National Zoo, Coca-Cola, Cuisinart, Apple, OXO, Toshiba, and many others. Wooda had initially reached out to the industrial designer because it wanted to connect its abundant access to raw materials, space, and technology with innovative ideas and fresh aesthetics. “Viemeister took me at my word when I said we seriously want to contribute to the heritage of great design,” Sweeney said in a statement. In addition to inviting acclaimed designers, Wooda has an open invitation on its site welcoming new, original ideas to be submitted for possible production.